Note: The print head will take about five to seven minutes to completely cool. 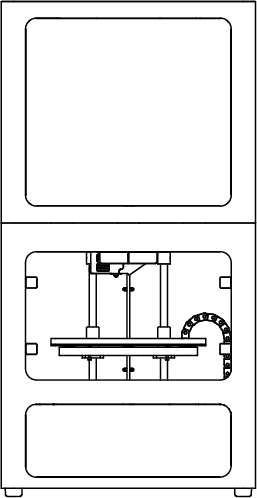 Turn off your printer, and manually move the print head away from the extruders. 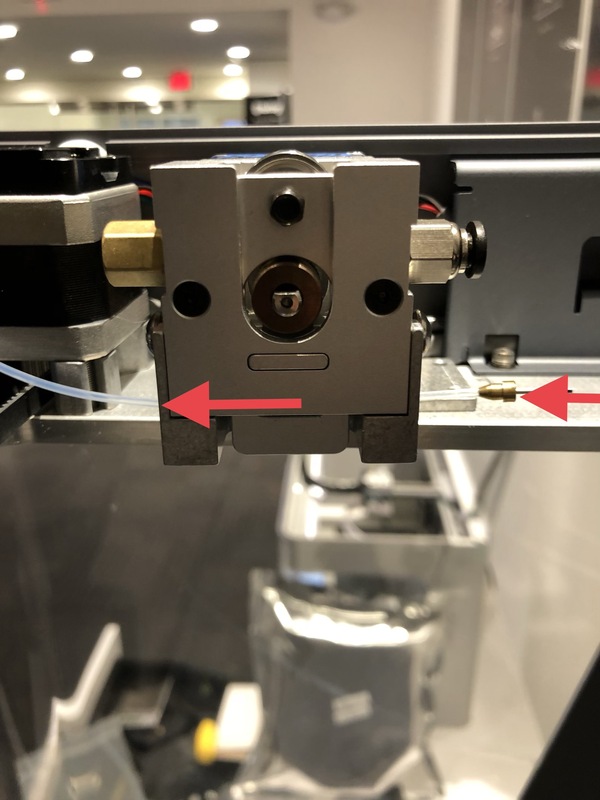 Use a 2mm Allen wrench to loosen the top left set screw on the Fiber Extruder front plate. 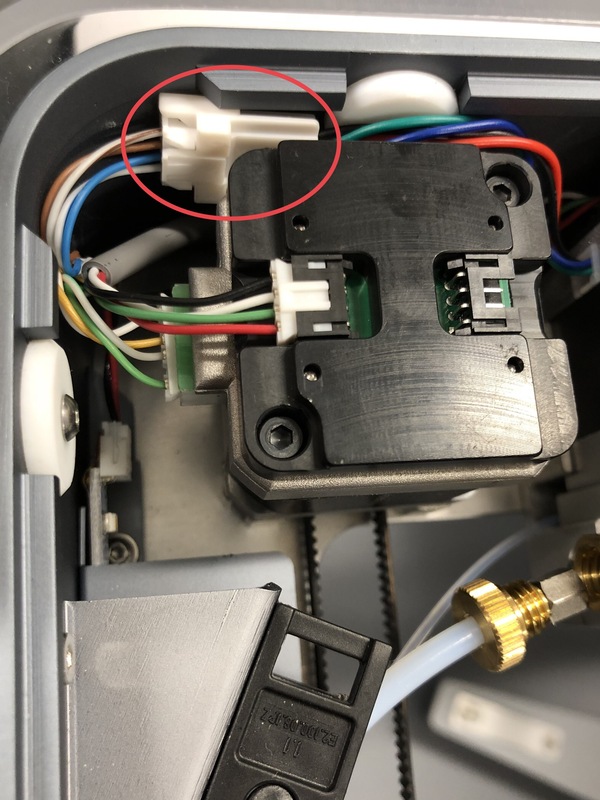 Remove the Fiber Feed Tube inlet from the Fiber Extruder and slide the Fiber Feed Tube out of the channel through the bottom of the Plastic Extruder. 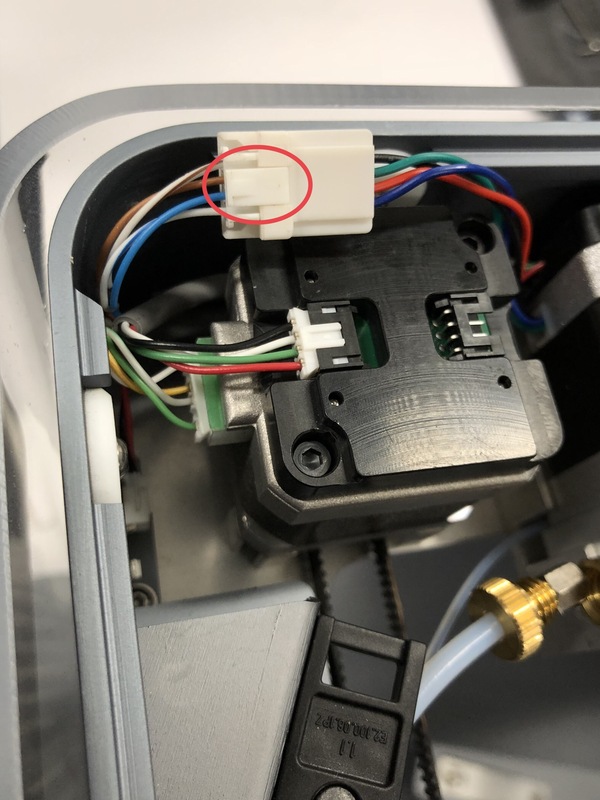 Use a 2.5mm Allen wrench to remove the bolts that attach the Plastic Extruder to the printer chassis. 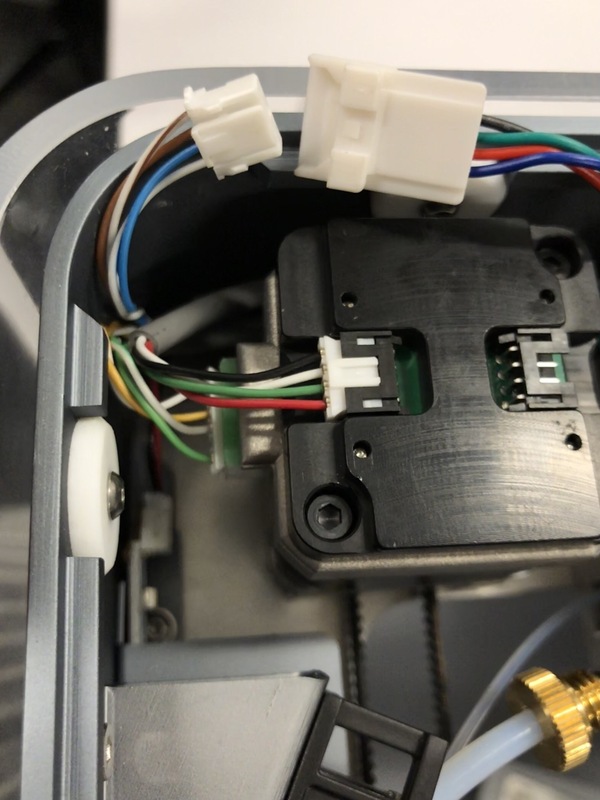 Carefully pull the large connector from behind the stepper motor next to the Plastic Extruder. 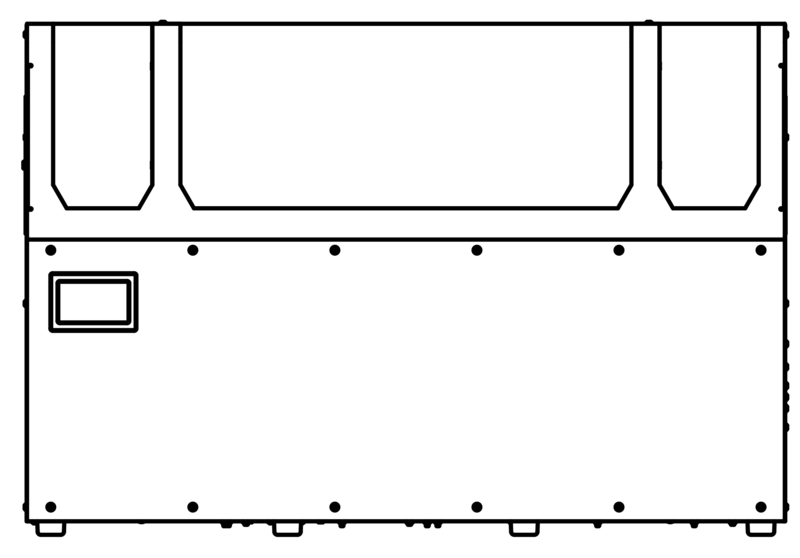 After it is accessible, disconnect the clip by pressing on the indicated area. 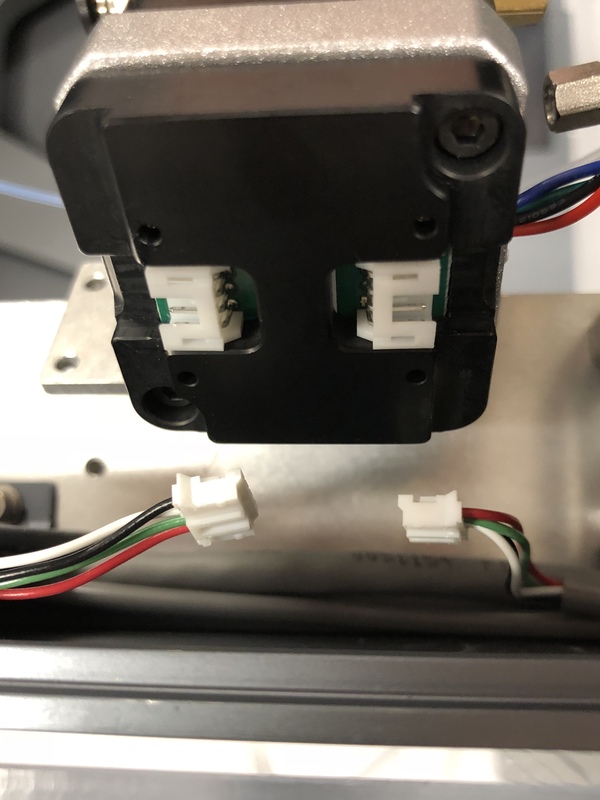 Note: Do not pull on the wires, only pull on the white clips. 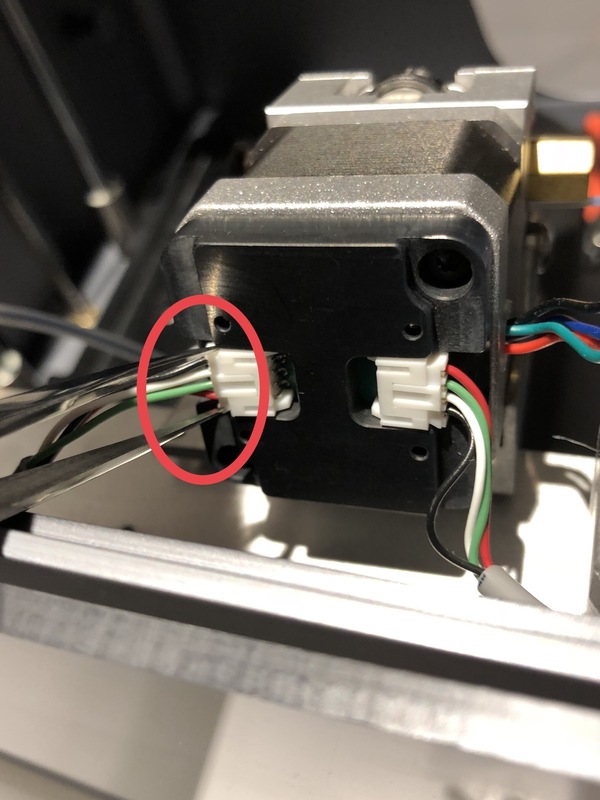 Disconnect both wire clips behind the extruder. 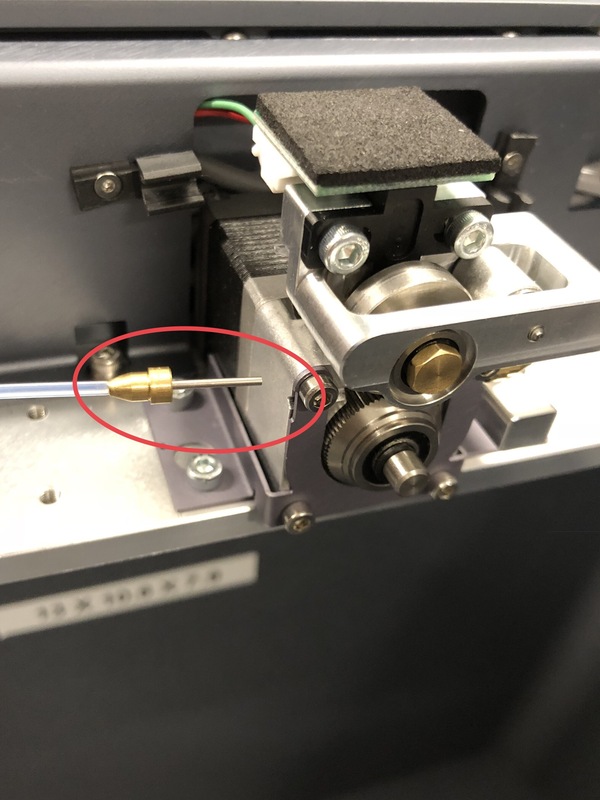 A tweezer may be used to help snag the connector out. 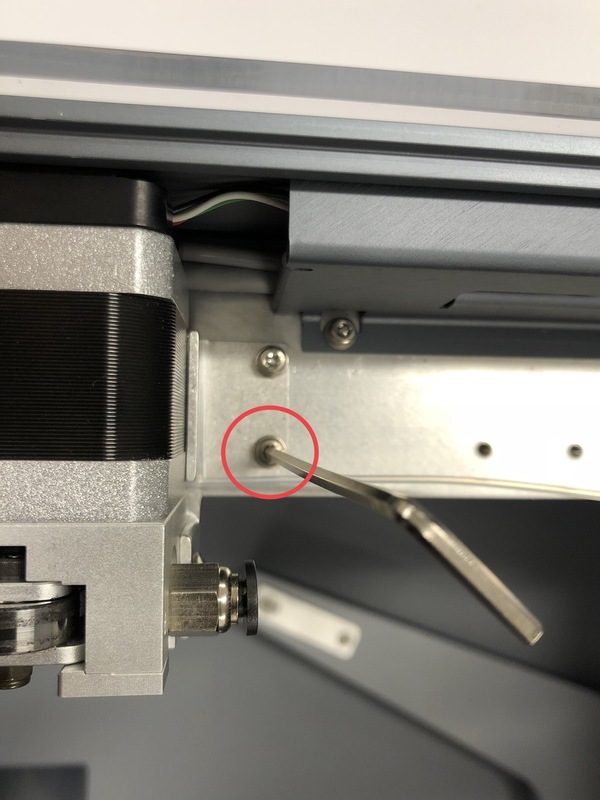 Place the new Plastic Extruder in the printer. 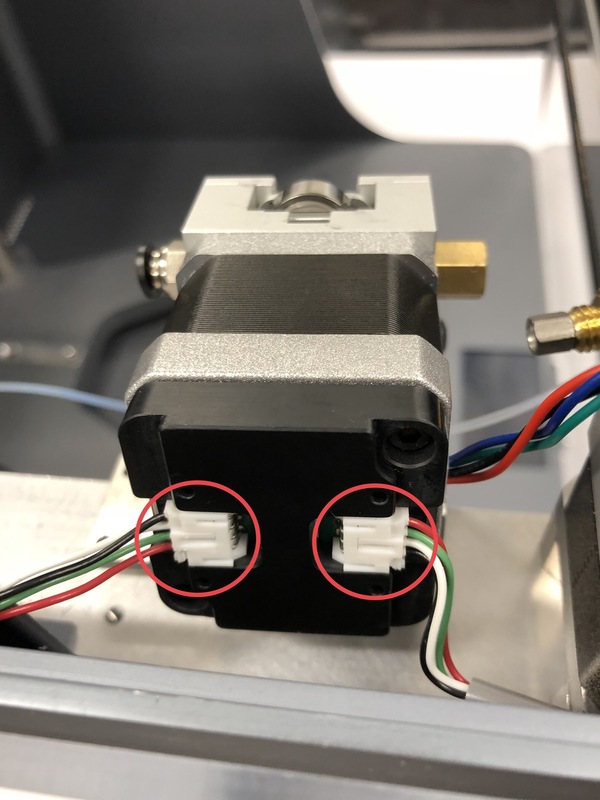 Re-attach the three white wire clips onto the Plastic Extruder and the connection on the left of the extruder. 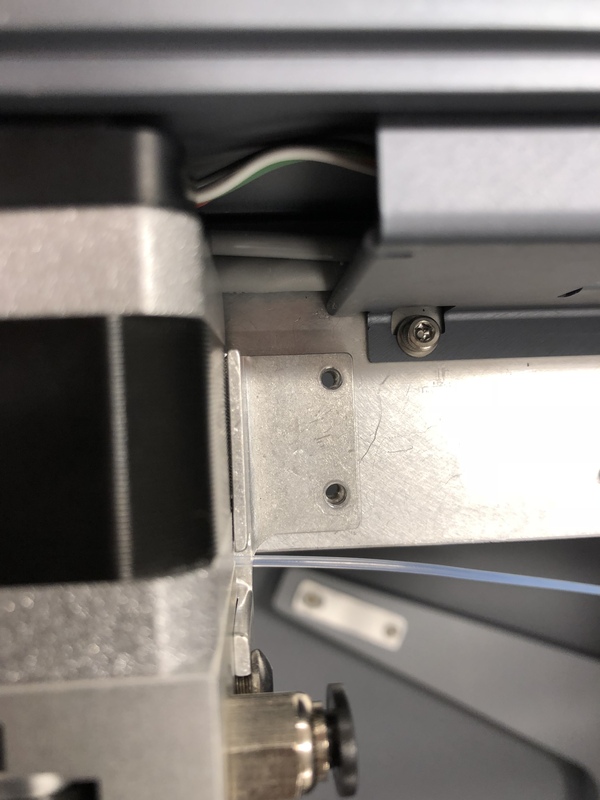 Place the screws in the holes to secure the extruder on the printer chassis. 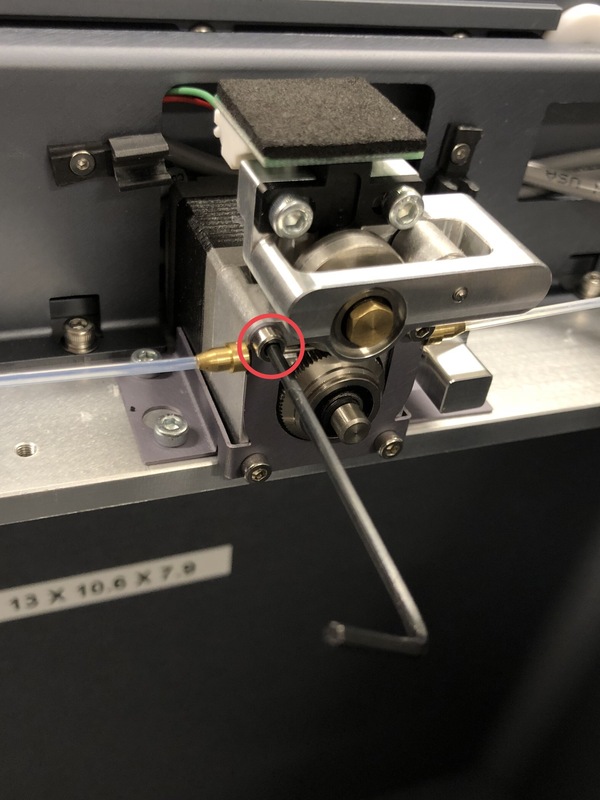 Slide the Fiber Feed Tube through the channel at the bottom of the Plastic Extruder towards the Fiber Extruder. 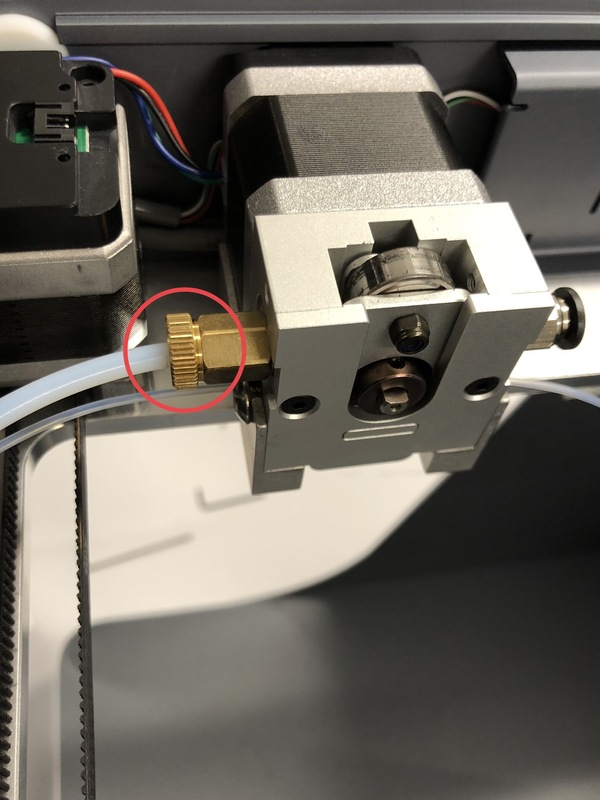 Note: Make sure the metal inlet is slid all the way in, and pressed against the Fiber Extruder. 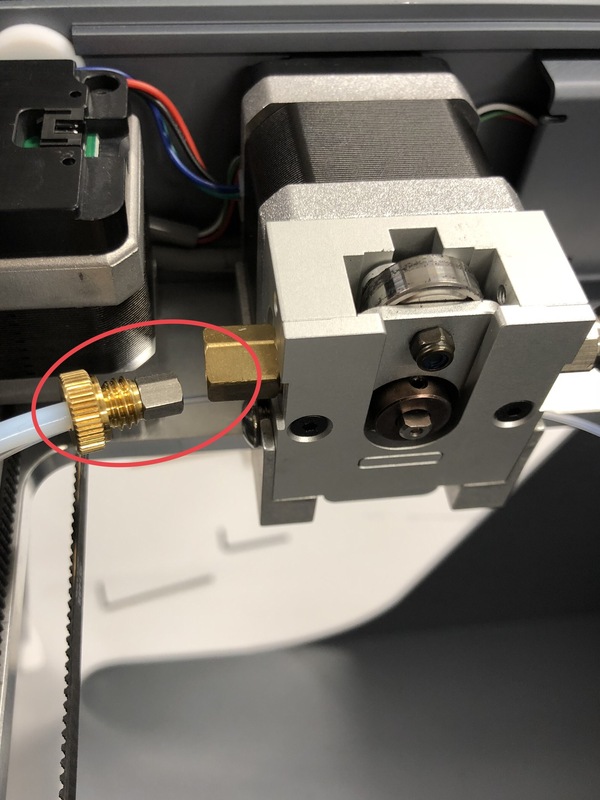 Reinstall the Plastic Bowden Tube in the Plastic Extruder and tighten the thumb screw. 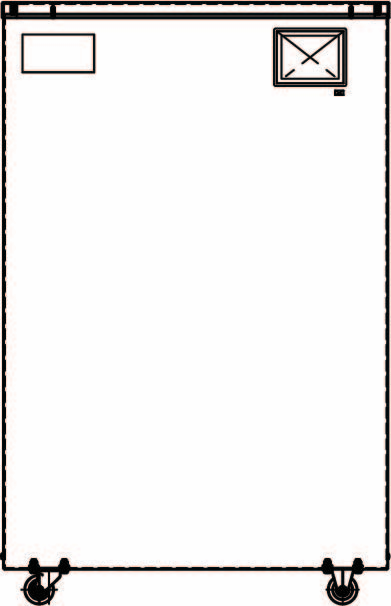 Turn on the printer and reload materials.